Crazie-Talk: Now a (mostly) Twitter-only operation! Hello Duke fans! Looks like this blog will be on hiatus for the foreseeable future. In the meantime, keep close tabs on our Twitter at http://www.twitter.com/crazietalker for all things Duke! While Coach K, Wojo, and Collins are working with Team USA in England, Nate James and Jeff Capel are in North Augusta, SC for the annual Nike Peach Jam – the final event of the Nike Elite Youth Basketball League (also known as EYBL). This year’s event features a bevy of Duke prospects for the Classes of 2013 and 2014, including Duke’s lone 2013 commit, Matt Jones. Of course, this is not a complete list of all of the prospects considering Duke in the next few classes. In 2013, Duke is also looking at Jabari Parker, who will not suit up due to injury, in addition to Tennessee natives Austin Nichols and Robert Hubbs. Below is the upcoming schedule, starting with this evening, with links to the live broadcasts.Links for games on late Friday night, Saturday, and the elimination rounds on Sunday will be updated when available. The Final Four has finally arrived, but for the second staight year, no team on Tobacco Road will be vying to cut down the nets this Monday. Instead, both Duke and UNC have shifted into offseason mode, which means a ton of chatter about early entry, recruiting, and projecting what next season’s squads will look like. 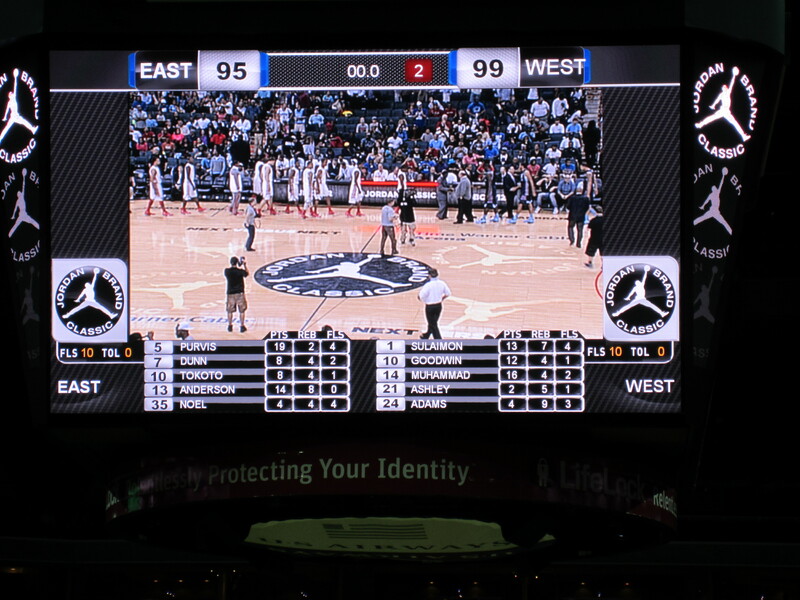 It’s safe to say that the top of the ACC next year will look very, very different. On Monday, Duke officially said goodbye to Austin Rivers, ending an up-and-down season that, for better or for worse, revolved around Rivers. He became the stuff of legend on February 8th in Chapel Hill, but Duke struggled down the stretch and bowed out in Coach K’s first Round of 64 exit since 2007. 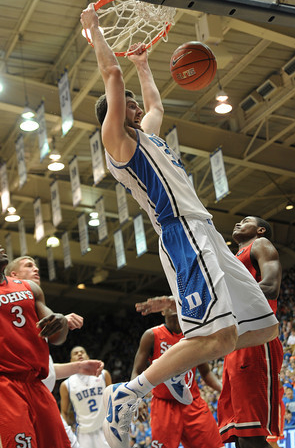 Junior center Mason Plumlee still has yet to make a decision. This past season was Mason’s best yet, but he will likely not be a lottery selection in this year’s class. His decision will likely influence the decisions of recruits, like Amile Jefferson and Tony Parker. But until Mason chooses to go pro or not, we’ll have little to no idea what this Duke team will be like next year. 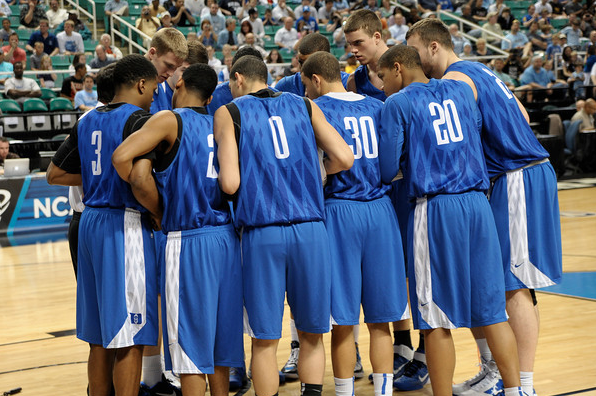 But Duke isn’t the only school with uncertainty lying ahead in 2012-2013. This afternoon, Harrison Barnes, John Henson, and Kendall Marshall announced their intentions to join Tyler Zeller as potential lottery selections in this year’s NBA draft. Sophomore Reggie Bullock is the only remaining member of Carolina’s starting five who will be returning next year. 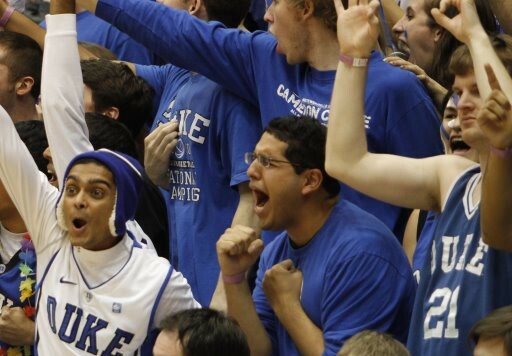 It has been rumored that freshman James Michael McAdoo is also considering leaving early for the draft as well. As you can imagine, these losses will be a great loss for the Tar Heels in the team’s efforts to repeat as ACC regular season champions next year. Barnes, Marshall, Henson, and Zeller accounted for just over 68% of North Carolina’s scoring last season. Barnes, Henson, and Zeller also combined to form arguably the nation’s most formidable frontcourt. The three accounted for 54.9% of the Tar Heels’ rebounds in 2011, and were much of the reason why North Carolina was the top rebounding team in the country at 45.2 boards per game. You also can’t forget about the role Marshall played as a distributor, setting the ACC assists record while averaging 9.8 per contest. With Kendall gone and Stilman White headed on a religious mission for the next two years, Huckleberry Hound will probably look to senior Dexter Strickland and freshman Marcus Paige to take up point guard duties. This decimation of Carolina’s roster is an interesting twist in what has been an eventful offseason for the ACC thus far.Even with a recruiting class of four players coming in next season, North Carolina is essentially starting from scratch. As Carolina looks to rebuild (or as the national media will say ad nauseum, ‘reload’) and with Duke’s roster in flux, N.C State seems primed for a run to the top of the league. The Wolfpack, fresh off of a Sweet 16 run, will add three McDonald’s All-Americans as freshmen (T.J Warren, Rodney Purvis, and Tyler Lewis) next season – with the possibility of adding a fourth in Amile Jefferson. The only current N.C State player considering the draft is C.J Leslie, but regardless of his decision, State will be very, very strong next season. If Plumlee does indeed enter the draft and Duke misses on its three remaining targets, it won’t be unexpected to see the balance of power shift away from the blues next year. This is just the beginning to what looks to be an eventful offseason. We’ll know more and more about what the Blue Devils will look like in the coming weeks. P.S. Remember November 13, 2009, when Harrison Barnes promised to leave a legacy at UNC? That ‘legacy’ will include zero championships of any kind, zero Final Fours, and a losing record against Duke. That’s really something to Skype home about. Follow us on Twitter @crazietalker!